Lock in a great price for Guesthouse Elia – rated 9.1 by recent guests! I took the double room. The location is good..right under mountains near rooms hotel. Great view from the triple bedroom. good location, room and private bathroom were clean. The host didn't speak much English but she was very kind and caring. it was a plesant stay!! Nice and modern guesthouse, very clean and comfortable. Good breakfast. 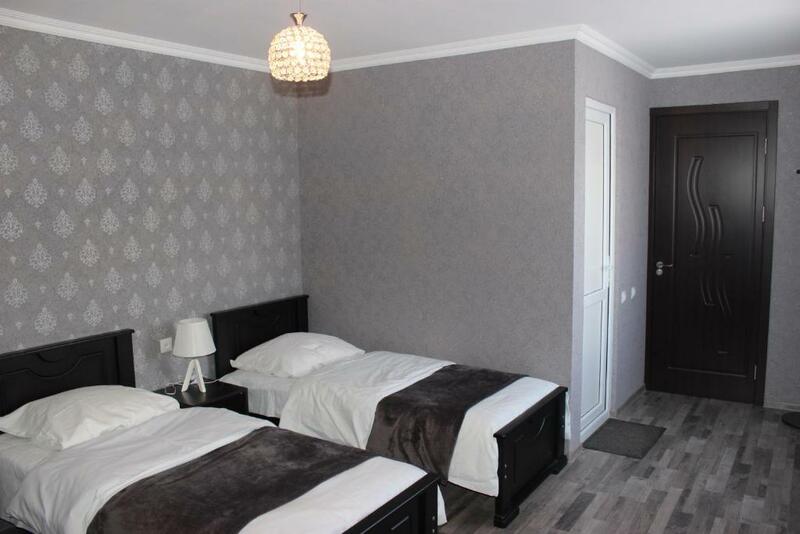 Very nice and clean room and bathroom in an rather new building with an great balcony. From balcony and through the window you have an amazing view to Kazbek and Gergetis Sameba. In the morning we had a good breakfast. The hosts are very friendly. You can use a well equipped kitchen. 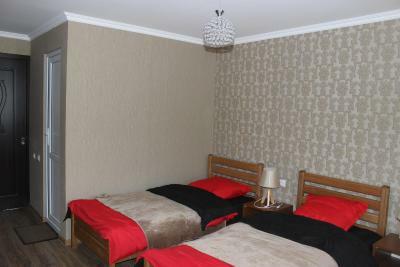 Nice little room with a good and clean bathroom in the very center of Kazbegi. Beautiful view on the mountains. Good location with a great view. Available space for parking. Clean room, comfortable beds, heating. Helpful host. we enjoyed our stay there. the owner is very friendly. rooms are ok, good shower, breakfast is very good. free coffee and tea, washing machine, good location with great views of the Kazbek mountain good value for the price you pay.. Wonderful view from our room and the balkony, great hospitality from the owners and a very good breakfast. Cute little kittens in the garden as bonus. The room is very cosy. Everything was clean and the breakfast was superb. Maja is a very kind and friendly host. The view from the balcony and our room was excellent! 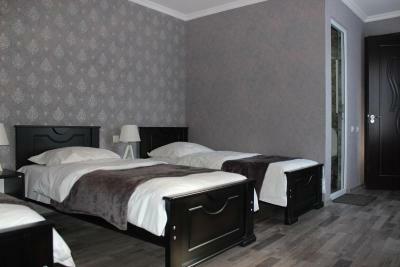 Providing free WiFi, Guesthouse Elia is located in Kazbegi. Every room has a balcony. At the guesthouse, each room includes a desk. With a private bathroom, some accommodations at Guesthouse Elia also have a mountain view. All rooms will provide guests with a toaster. Gudauri is 20 miles from the accommodation. This is our guests' favorite part of Kazbegi, according to independent reviews. 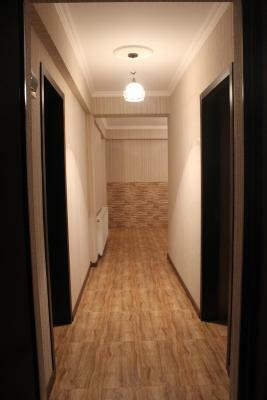 This property is also rated for the best value in Kazbegi! Guests are getting more for their money when compared to other properties in this city. 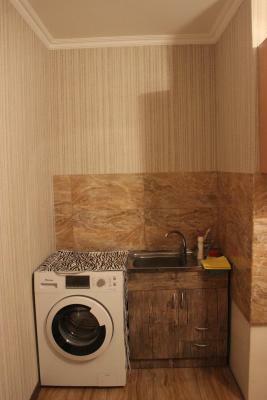 뀐 Located in the top-rated area in Kazbegi, this property has an excellent location score of 8.9! When would you like to stay at Guesthouse Elia? This twin room has a balcony, stovetop and private entrance. House Rules Guesthouse Elia takes special requests – add in the next step! One of the reason of selecting this guesthouse was the review saying that Elia provide great breakfast, but I could not have it as the host who cook was not there at the time I visit Elia. Breakfast was important option for me, but there was no information about the unavailability of it on the site. Quite unpleasant about this. The owner doesn't speak a word of English. She is very helpful and welcoming but it makes the conversation quite uneasy especially if you need some tips to visit the region. 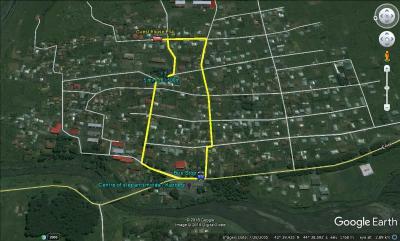 U have to walk a lot to reach here from town. There is no place to sit and relax..balcony is very small And not private shared for all rooms. Also the rooms are small.. kitchen is not that clean. U wont get a feeling to cook and eat. Can get noisy depending on guests' behavior, but most of our nights we were lucky. It would be better when Maja writes the name of her Guesthoust 'Elia' on the gate. Nothing, just not so easy to find. Turn left when you see the sign "Nina Guesthouse" on the way up to rooms hotel. Here you are ! Nice view, à kitchen you Can use, very quiet place. Freshly build guesthouse with clean showers, tarace, kitchen and dining room. Maja the owner of this place make great breakfast! Thanks! 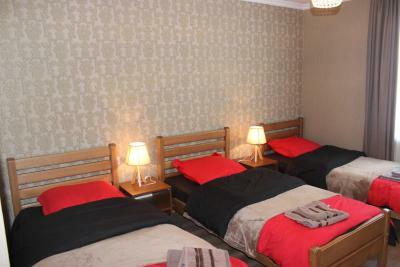 We love hospitality and would highly recommended this guesthouse to anyone who want quite and comfortable stay. Walking distance to centre of Kazbegi about 5 min. but on the way back bit longer as is uphill. I didn't like the bed linen, which was full of sparks because of static electricity. However, the rest of the party did not experience similar problems.